We’re currently dodging wind and rain while visiting my family in Florida. I’ll be home soon though. At least I hope too, hopefully Debby keeps heading East. Mmmmm, that’s some good food right there. I’ve had a pretty fierce craving for baba ganoush. It’s one of those weird cravings that I sometimes get and nothing will satisfy it but the real deal. 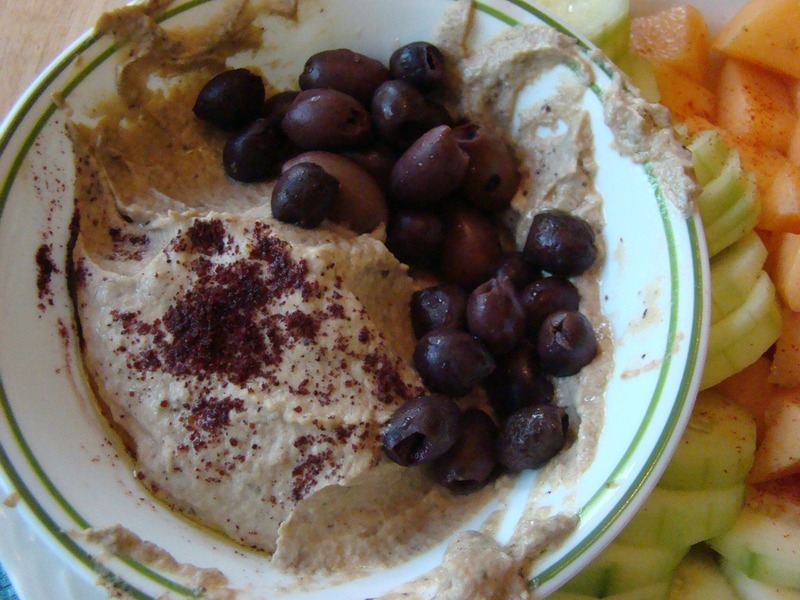 I’ve tried making baba ganoush on one or two different occasion and it’s never come out right. This recipe worked great though! 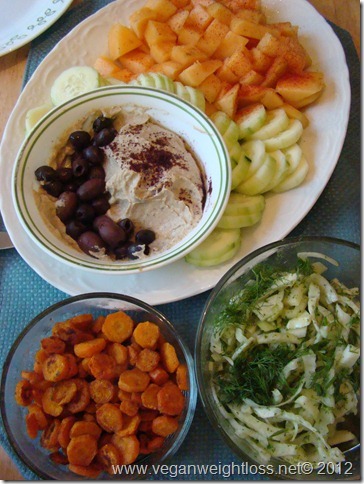 I also made Cumin Roasted Carrot coins, Fennel Slaw with Mint and Spiced Cantaloupe. I think some falafel would round out this meal nicely. Dinner was awesome, we didn’t even have left overs to box up. All of the recipes in this post came from The Clothes Make the Girl Blog. 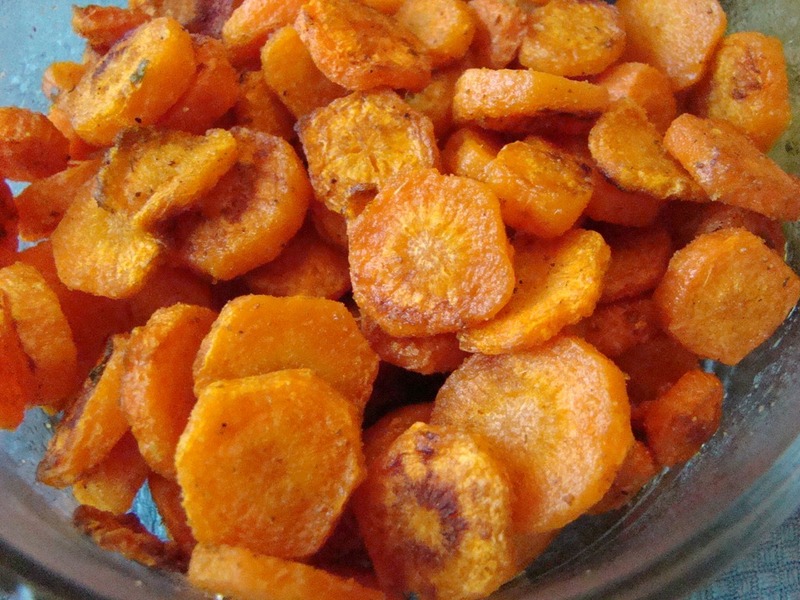 It’s a Paleo Blog rather than a Vegan blog, but don’t be scared. She has some awesome recipes posted and a cookbook to boot! I loved this. All you need to make this is 2lbs of Japanese Eggplant, 1/4 cup tahini, 2 cloves of Garlic, 2T of lemon juice, 2t of kosher salt and 1T of parsley for garnish. I omitted the parsley. 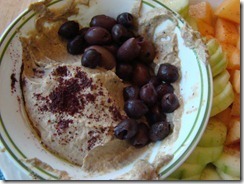 Instead I sprinkled on some sumac, because that’s just how I like to eat my baba ganoush. The olives were thrown in to fill in the gap that we made while “sampling” the Baba Ganoush. We just couldn’t stop, it was that good. To save on calories we used cucumber slices to scoop it up. Yummy, yummy stuff. As a side note, I forgot when I purchased my eggplants that I no longer have a food processor, so this recipe was made with a Magic Bullet. This was an unexpected surprise. 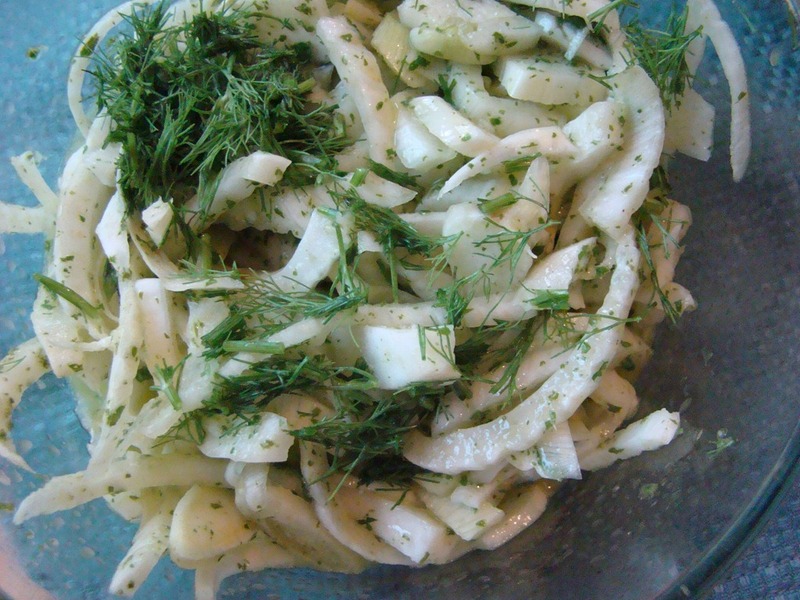 If you make this, get the biggest head of fennel you can find. 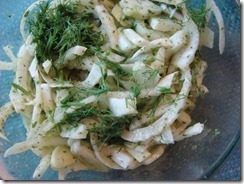 I always core my fennel and my head wasn’t all that big to begin with, so there wasn’t much to go around. I did not end up using all of the dressing. 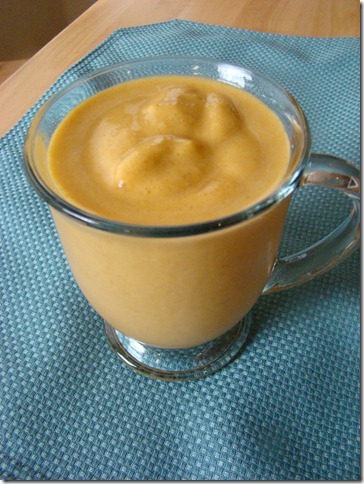 I used the magic bullet in this recipe too. It’s a handy little bugger. This was the perfect dessert for the meal and it’s so, so simple. 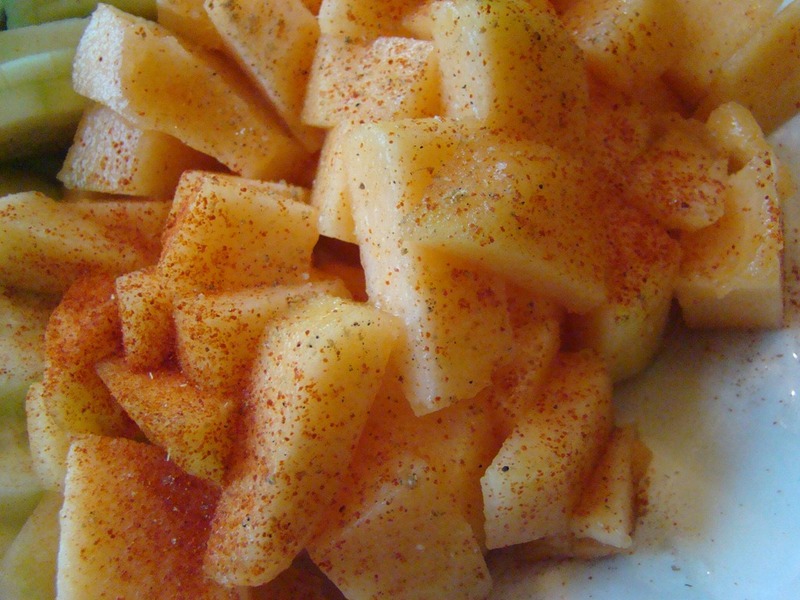 I usually just toss my melon with some minced, candied ginger and call it good but no more! 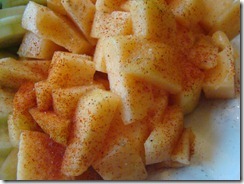 All you need for this vegan recipe is a perfectly ripe melon, cardamom, paprika and some sea salt. Vegan, easy, tasty and packed with flavor. That’s really all I need to say about this recipe. There is an obvious protein missing from this meal. Unfortunately, I’m unable to eat vegan at this time. We ate the above meal with meatballs. I can’t eat any grains at all, but my daughter can. So some time soon I’m going to try making the Merguez Meatballs with some beef style gimme lean. If you aren’t up to experimenting in the kitchen, you could add in some falafel or roasted garbanzo beans. Dolmas would also be tasty, OMG I miss those.. I know, it’s spring.. which isn’t really the time to be making pumpkin anything. That said, I love pumpkin and the weather here has been absolutely miserable. I’ve been craving a pumpkin spice latte, but I’ve finally kicked my caffeine habit and I don’t have any decaf on hand, so smoothie it was. I found the recipe for the vegan pumpkin spice smoothie over at healthful pursuit. The ingredients are simple, so if you’ve got: almond milk, pumpkin, bananas, maple syrup, vanilla, cinnamon, ginger, nutmeg, cloves and allspice on hand you should give it a go. It wasn’t quite a latte, but it was a super tasty way to get my morning going. I think next time I’m going to give it a boost with a vegan protein powder to round it out for breakfast. Now that I’ve got some extra pumpkin in the fridge I’ve got a few more recipes that I want to try… Including a decaf, vegan pumpkin spice latte and a breakfast sandwich. yum! I’ve really been struggling to stay on plan. My Dr doesn’t want me any grains at all and I’ve found the prospect of a grain free, vegan diet to be a bit daunting. I was mulling this over when a friend of mine sent me a groupon for a 28 day vegan challenge. It was a crazy good deal and I’m a sucker for those, so I signed up. The best bit, the gal in charge encourages a Gluten Free Cleanse. There are two options. The “all in” approach or the more gradual one. For me, If I can stick to gluten free and vegan for 28 days.. I’ll consider it a success. I’m not even going to worry about eating GF grains. There is a ton of support and I’m enjoying all the new information that has been appearing in my inbox. Breakfast today was soy yogurt with granola and fruit. Dinner was a rather tasty, but failed attempt at a Gluten Free hazelnut crusted tofu. I had hoped to use almond flour instead of regular flour but Im all out. Instead I opted for coconut flour and I used to much to boot. The coconut flavor was more prominent than the hazelnuts, but everyone scarfed it down non the less. 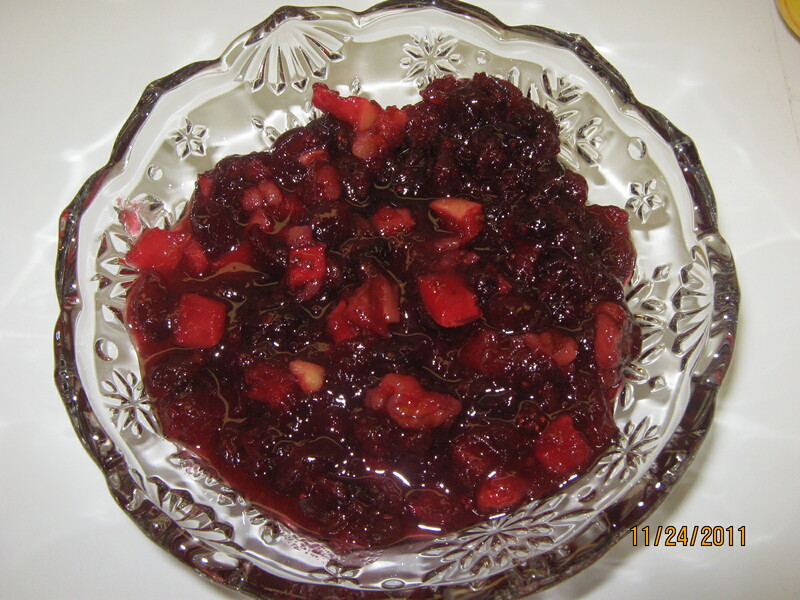 It was served with a side of apple, pecan brussel sprouts and was followed by strawberries in a lavender syrup. The lemon sugar put them over the top. I’m going to have to make them again so that I can get a photo..
We definitely ate well today. I was talking to my mom last week about my favorite vegan cookbooks. I have two books by Terry Walters,”Clean Food” and “Clean Start”. I adore them both. The photographs in “Clean Start” are beautiful, the ingredients are clean and my entire family has enjoyed every recipe that I’ve pulled from them. Additionally, both books are broken up by seasons. I love that the books are broken up by seasons for two reasons. For one, it makes it easier to eat what is in season and that saves me money. Locally grown produce is fresher (bonus if it’s from my own yard) and is usually less expensive as it doesn’t have as much money invested in getting it here. Organic grapes that are flown up from Chile sure are yummy but they aren’t really an economical choice in January. Know what I mean? However, blueberries from the u-pick farm down the road are a steal for $1 a pound during the summer. Secondly, I like that the foods are seasonally appropriate. I spend enough time looking through cookbooks for dinner ideas so it’s nice when I don’t have to sift through butternut squash recipes when it’s 100 degrees outside and I’m looking for a vegan recipe for gazpacho. Long story short, The Spicy Thai Tempeh with Cashews, from Terry Walters’ book “Clean Food”, was a hit even though I altered the recipe a bit. I doubled the Tempeh. I like to ensure that I have leftovers so that there are easy lunch options in the fridge the next day. Since the sauce to tempeh ratio was less, the tempeh wasn’t as spicy as it would have been had I made the recipe as is. 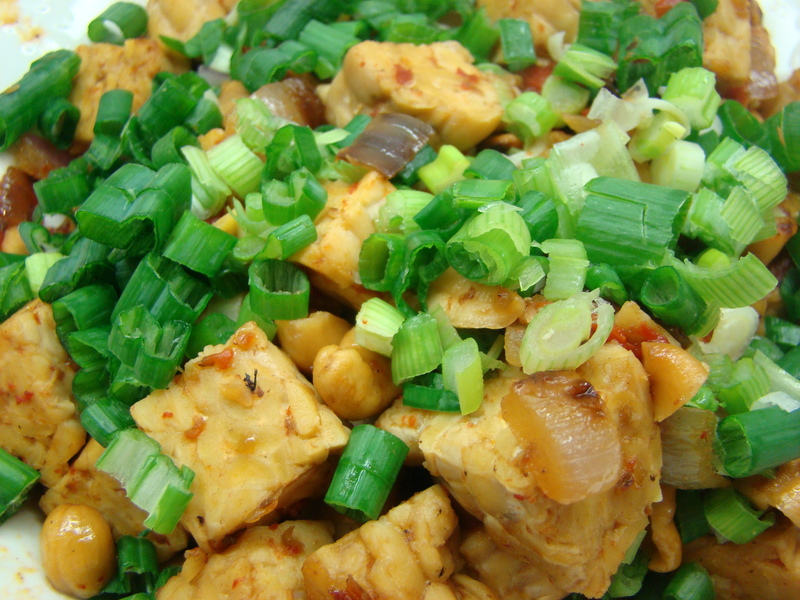 The ingredients are simple: Tempeh, olive oil, red onion, roasted red pepper, cashews, red chili paste, maple syrup, tamari, water and scallions. I keep tempeh, red peppers, chili paste, syrup, tamari and scallions in the fridge on a pretty regular basis. Olive oil and cashews are in the cabinet and the red onions hang out in the corner on the kitchen counter. I generally have all of these ingredients on hand, so for me this is considered a “cook from the pantry” meal. The recipe also comes together fairly quickly which is a must for weeknight meals in this house. You can look for both “Clean Start” and “Clean Food” at Amazon, Barnes and Nobles and Powell’s Books. Not the best photo, I know. Geek had an appointment on Wed. and Kitty and I tagged along. It was cold and blustery and when he was done we were all looking for something warm to eat. We were a little bit further east than we usually go and I’m not all that familiar with the vegan food options in Beaverton. Thankfully, I have a smart phone. I did a quick search online and then we were on our way to The Veggie Grill. The Veggie Grill is located in the Cedar Hills Crossing shopping center so parking wasn’t an issue. If you want to eat there though I’d head over early as there aren’t a ton of places to park your backside once you’re actually in the diner. I ordered the All-American Stack, Geek ordered the Carne Asada, Kitty got the Uptown nachos and we ordered a side of Sweetheart (sweet potato) fries for all of us to share. Kitty is a big fan of sweet potato fries, so we also got to enjoy her nachos. 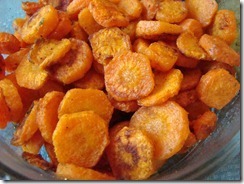 I’ve never met a sweet potato fry that I didn’t like, so I thoroughly enjoyed the sweetheart fries. The fries are served with a chipotle ranch sauce. What’s not to love? Geek ordered my sandwich with the red cabbage slaw and he got the side of chili for himself so that we could try several different items. He ate the beans but he wasn’t overly impressed with them. The red cabbage slaw was pretty tasty. I didn’t try his carne asade but he devoured it and said that he would order it again. I really enjoyed my all-American stack. It was grilled vegan steak, thousand island dressing, pickles, lettuce, tomato and crispy onion rings all stacked on a wheat bun. It was super tasty and the best part was that it was vegan. The nachos were good too, we sort of fought over the last of those. I forgot how yummy a good nutritional yeast sauce can be. Three thumbs up from us, we’ll definitely be going back. 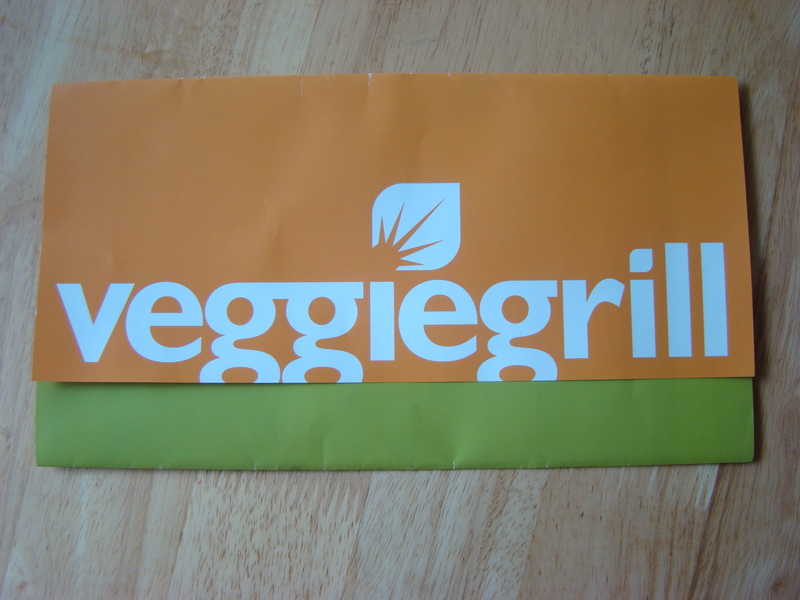 The Veggie grill is conveniently located next to a Powell’s Booktore and a New Season’s market health food store. I can easily see myself killing an afternoon over there. Oh! Price! Both my All American Stack and the Carne Asada were $8.95. The Sweetheart fries and the nachos were both $4.95. That’s pretty spendy for a fast food lunch, but not really when you consider that you’re getting a full menu of vegan goodness. You could probably feed a family of 4 for $20 at sonic, but would you really want to? See? It already seems like a better value! Nuts always go quickly in this house, but especially these ones. I really need to start halving the recipe. 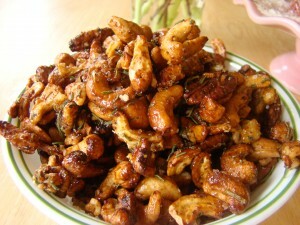 Nuts do have a lot of fat, but it’s good fat and they are fairly filling. Still, you want to make sure that you have lots of people to share these with. The best part though (aside from eating them) is how wonderful they make the house smell while they roast. It’s truly divine. Every year at Christmas time I make a ton of cookies to give to friends. It’s a lot of work but I always feel good about it when I’m done. Generally speaking they aren’t vegan. This year, however, I was determined to do a better job. I didn’t make nearly as many kinds, and they weren’t all vegan but they were all gluten free. 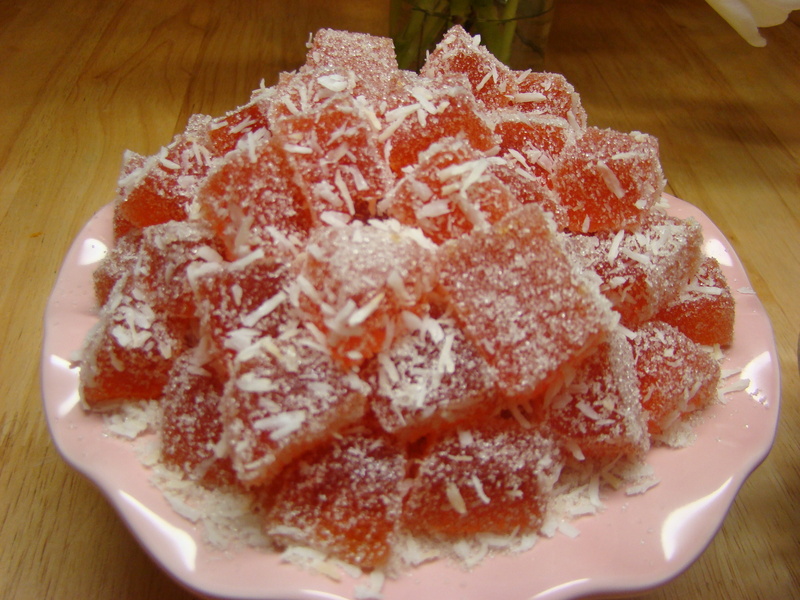 The Vegan, Pink grapefruit Gumdrops were both gluten free and vegan. They were so awesome, I made them again yesterday much to my family’s delight. I tore the recipe out of a” Better Homes and Garden’s Magazine.” I’ve not tried the coconut version but I bet that they are every bit as yummy. Just remember that if you are a strict vegan, you’ll want to make sure you are using a vegan sugar (but I know you already know that)! I splurged for organic corn syrup, organic sugar and organic grapefruits. I saved the peels as well so that tomorrow I can attempt candied grapefruit peels, Martha Stewart Style. Instead of adding coconut to the sugar, I think fresh thyme might make an interesting variation. Christmas may be over, but I think these would make a lovely, thoughtful gift for your Valentine sweetie. 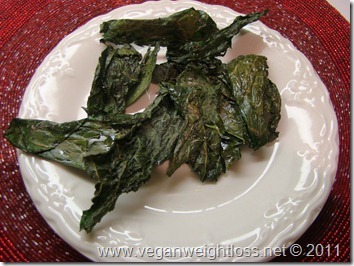 Kale chips are a super easy to make, vegan snack. I’m always amazed at how quickly I can chow through an entire head of kale. Try as I might, I just can’t make myself feel guilty for doing so. Preheat the oven to 350 degrees. I like to use the Lacinto Kale as I find that it bakes up a bit more evenly than the curlier varieties of kale do. Mine was a little bit limp, but after finishing “Bitter is the New Black” last night, I’m not feeling particularly wasteful. They came out great but when cooking it is generally better to use the freshest stuff you can. Cut the leaves off of the stems. I fold my kale in half and run the knife right along the stem. Depending on the size of the leaf, cut your long halves in to a few smaller pieces. Wash your kale. I put my kale pieces in to a salad spinner, wash them and then give the kale leaves a good spin. You want the leaves to be nice and dry, so I then blot them a bit between between two clean kitchen towels. Take a bowl big enough to hold your leaves comfortably. Drizzle in a smidge of olive oil, toss in the leaves and then drizzle a little bit more olive oil. Wash up and then use your clean, dry hands to toss the kale around in the bowl. You want the kale leaves to be evenly, but lightly coated with olive oil. Spread the leaves out on to your cookie sheet, wash up and then sprinkle with Sea Salt. Toss those bad boys in to the oven. I start to check mine at around the ten minute mark and gently stir them around. How long it takes will depend on how densely you pack them on to the cookie sheet and how heavily they are coated in oil. You want them light and crisp, but not brown. I pulled mine out after 11 minutes, a few of them weren’t quite done yet so I pulled off the ones that were and then stuck the tray back in the oven for another three minutes. Try to sneak a few for yourself before the kids find out they’re done. Kale chips disappear pretty quickly around here. Everybody has their favorite vegan holiday entree. We used to do the Quorn Roasts as I thought that they tasted better than the tofurkeys did. These days, however, we’re pretty partial to the vegan chik’n patties. I know.. crazy right? 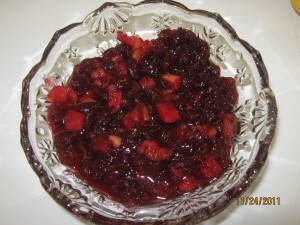 Regardless of what your entree turns out to be, Thanksgiving wouldn’t be Thanksgiving without an awesome vegan cranberry sauce, so I’d like to share my mom’s recipe with you. I make it every year, and it doesn’t matter who we have seated around the table for the holidays.. it’s always a hit. Just remember to make sure that you are using vegan sugar. Combine all ingredients – bring to a boil – simmer 5 minutes – chill.